Egdon Heath, the setting of the opening chapters of Hardy’s ‘Return of the Native’, or at any rate, that tract of land Hardy had in mind when writing arguably his greatest novel, does not really exist as an entity. The land between the town of Wareham and Dorchester, Hardy’s ‘Casterbridge’ is actually much vaster than is apparent in a reading of Hardy. 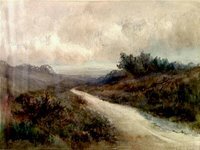 Willful, headstrong Eustacia Vye, a sea captain’s daughter, waited for her lover, Damon Wildeve on Egdon Heath, the reddleman Diggory Venn crossed it plying his colourful trade, and the native himself, Yeobright, lowered himself in his wife’s eyes by cutting furze on it. This wild tract, dealt with in so much detail in that first, most inaccessible and enigmatic of chapters, comes to exert an enormous influence on the lives of everyone who dwells on or near it. Eustacia abhors it, dreams of escaping from it forever, Yeobright, recently returned from foreign parts, yearns for the simplicity, the timelessness of it as he takes up work upon it. Diggory the reddleman, seems ambivalent to it, taking an almost matter of fact view of the land he crosses to sell his red dye to the shepherds of this part of Wessex. 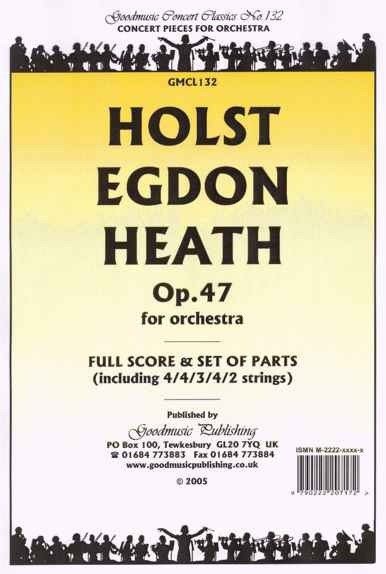 Gustav Holst met Hardy briefly, and composed his enigmatic piece, ‘Egdon Heath’ to portray what Hardy had portrayed in words. Its opening bars are slow, mournful, entirely in keeping with the opening lines of this darkest of all Hardy’s opening chapters. HMV and other recording companies, invariably place this short piece on the same album as Holst’s ‘Perfect Fool’. It is almost as if Holst is placing his commentary on the comings and goings of the protagonists of what is Hardy’s most tragic work after ‘Tess’ and ‘Jude’ next to his drawing of the setting in which Hardy's tragedy is acted out. Actually Holst’s altogether lighter piece has nothing whatsoever to do with Hardy’s characters. Presumably only Imogen Holst, protecting her late father’s interests, was persuaded to conjoin the two into something of suitable length to merit the production of a publishable recording. Looking for evocative images to sell the packaged versions, successive recordings have taken various bucolic scenes from whatever source, to woo the reader away from her book to look upon a cover that accords with her impression of the setting she has just been reading about. 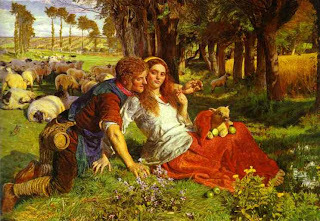 W. Holman Hunt’s ‘The Hireling Shepherd’ tempted printers and publishers alike, and it has been used to cover both books about Hardy and the country he used to furnish his characters' inevitable downfalls. The Hireling Shepherd though was more suited to images conjured up by Milton than by Hardy. A neglectful and self-serving clergy fell in for just criticism from Milton before his eyesight failed him. 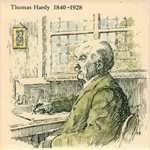 Accompanying Hardy, the symbolic connection is lost. Hardy dealt with malevolence of the gods rather than any vicarious activities on this Earth. As Tess found out to her cost, and as Eustacia later discovered, the baleful landscape is only representative of her own dilemma, and really is a neutral element in the tales, as only Diggory Venn and Weatherbury’s Gabriel Oak were sensible enough to realize.